Megan Schuller provides HumanPoint clients her expertise in using the latest workplace psychology research to help individuals and teams actualize their potential. Megan is a PhD student in the Seattle Pacific University Industrial-Organizational Psychology program. Her field research work has already guided global technology and entertainment companies to improve job crafting, team culture, and workplace climate. She has also advised various corporations on process improvement and survey design and administration. Megan is particularly interested in understanding team dynamics, which she views through the lens of human interaction. Her current research is focused on the coaching relationship and on creating tools for effective workplace interpersonal communication. Megan uses research-based evidence to recognize how meaningful interactions build the foundation for cohesive, successful teams. This approach, along with her skills in project and process management, and her experience in crafting and interpreting surveys, gives HumanPoint clients a great resource to better navigate their individual, team, and cross-functional relationships. Prior to her PhD Studies, Megan was a licensed Real Estate Agent with Sotheby’s International, where she led both buyers and sellers through the negotiation of multimillion-dollar transactions in the California wine country. She also volunteered as the Editor and Scheduling Manager for the Lake Washington Human Resource Association (the local chapter of the Society for Human Resource Management) from 2017-2018, where her role in creating a weekly newsletter gave her insight into various HR topics. 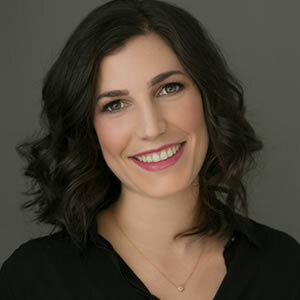 Megan holds a Master of Arts degree in Industrial-Organizational Psychology from Seattle Pacific University and graduated with highest honors from Santa Clara University with a Bachelor of Science degree in Psychology. She is currently pursuing her PhD in Industrial-Organizational Psychology and plans to graduate by the end of 2020. In her spare time, she’s an avid athlete and enjoys literature of all kinds. Contact Us to Work with Megan!